No, you're not still asleep, Your Dream Bag is just here. Finally, the wait is over. Explore this full purse pattern tutorial to find out how you can achieve the DIY bag you want for a fraction of the in-store price. Apart from including your favorite print and sturdy lining, you'll love this homemade purse because of the decorative bow along the top. Held securely together with a magnetic button, the finished product of these bag instructions makes it the perfect accessory to tote on an evening out or a trip to the grocery store. This is just perfect for the tote bag I have been wanting. Sometimes I need something to hold things like a book or I-pad when I take my granddaughter to the playground. I do not like carrying my purse with me when we are out like this. I will definitely be making mine with double pockets to carry my eyeglasses an other little necessities. The best part is I already have all the fabrics I need to make it. I can not wait to make it! Thank you so much for the detailed instructions. The best I have seen yet! I want to copy all the instructions as well...to print up and keep in a binder for easy reference...but it is not allowing me to copy the instructions with the pictures...help! !...my sewing machine is downstairs and dont want to run up and down the stairs to keep looking at this. Even thou I have not make it, I just love the tutorial. I know that, by following the instructions, I will be able to do it. Thanks so much. Why can't you just put the pattern on here to download without having to install all the extra software? It makes things so difficult! Hi Breandables, Thank you for your message. 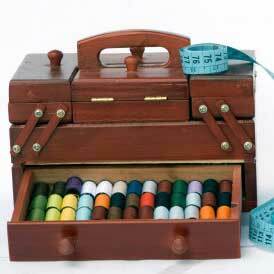 AllFreeSewing is based upon sharing the links to fun patterns and tutorials around the web. If you visit the designer's site, the pattern is available as a PDF document. The link for this can be found withing in the text of her post. However, there are a few advertisements on the sides of her blog for a PDF program. Please note that these are advertisements and not for the actual pattern. I do hope this helps a bit. Happy sewing!